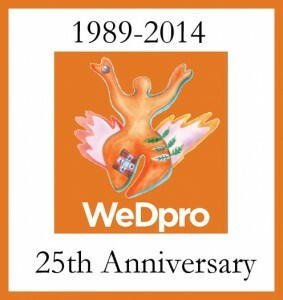 WeDpro, Inc. is 25 YEARS OLD this month! We would have hosted a celebratory gathering of colleagues, friends, and supporters who have traveled often the less traveled road with us, but Typhoon Ruby has changed our plans. We decided to postpone this for early next year. On behalf of the present Board of Trustees — Damcelle Torres, La Rainne Sarmiento, Leilani Galvez, Rhodora May Sumaray, Diego S. Maranan, outgoing member Alexandina “Reena” Marcelo and incoming member Niva Gonzales, and staff, we would like to thank our supporters, who have not lost the faith in what we want to do and where we want to go. We also give thanks to the founders for germinating the seeds of our feminism, activism, and the courage to help our women and their communities with passion and dedication – Aurora de Dios, Reena Marcelo, Dr. Virginia Miralao, Celia O. Carlos, Flor C. Caagusan, Sandra B. Torrijos, Tezza O. Parel, Maria Morales, healthymanviagra Ma Victoria Suarez, Charo Cabardo, Lynn Lee, and Sandra B. Torrijos. CHEERS TO THE WOMEN & MEN OF WEDPRO! THANK YOU TO OUR SUPPORTERS!